The One Direction heart throb gave his mother Anne away as she married Robin Twist, and it is said he entertained guests with his "witty" and "emotional" speech at a party in a restaurant after the ceremony last week. Andy Pear - the owner of Pecks restaurant in Cheshire, UK - told The Sun newspaper: "His speech was very witty. He had everyone roaring with laughter. "And it was very emotional - people were in tears. He comes across as a very intelligent, engaging young man. "He wrote the speech himself and it lasted around 10 minutes." 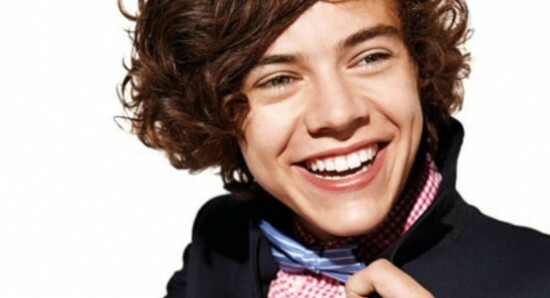 It was reported last week Harry, 19, "couldn't stop smiling" at the wedding and was seen by his mother's side throughout. An insider had revealed: "Harry couldn't stop smiling. He hardly left his mum's side and she looked really proud of him. He sipped champagne and talked to everyone." The 'Little Things' hitmaker has previously admitted Anne, 43, is one of his closest friends and someone who confides in. He said: "I tell her everything and she knows the truth."